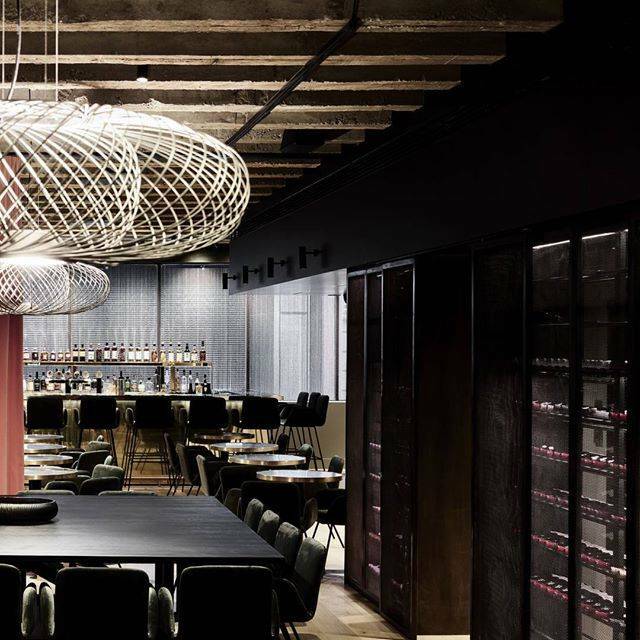 Located in buzz of Flinders Lane, Melbourne's premier restaurant district between Russell and Swanston Streets, Kisumé is the perfect destination to visit before or after an event. The Regent Theatre is parallel to Kisumé on Collins Street, the Arts Centre and NGV are both less than a 10 minute walk away. Kino Cinemas sits just over Russell Street off Flinders Lane and the Princess Theatre is a short stroll up to the Paris End of the city. With all day dining from 11:30am, Kisumé is flexible to your timeframe, just let your waiter now your show time. 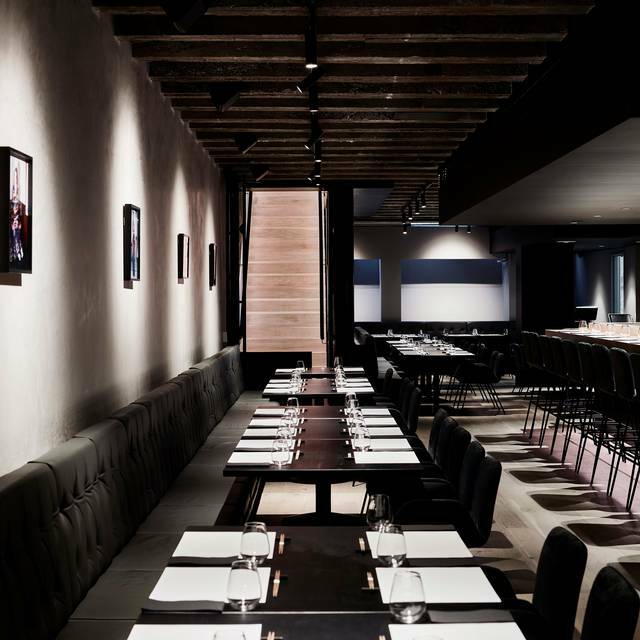 Find us in the heart of Flinders Lane, a stones throw from Flinders Street Station and Federation Square, and discover three levels of dining. 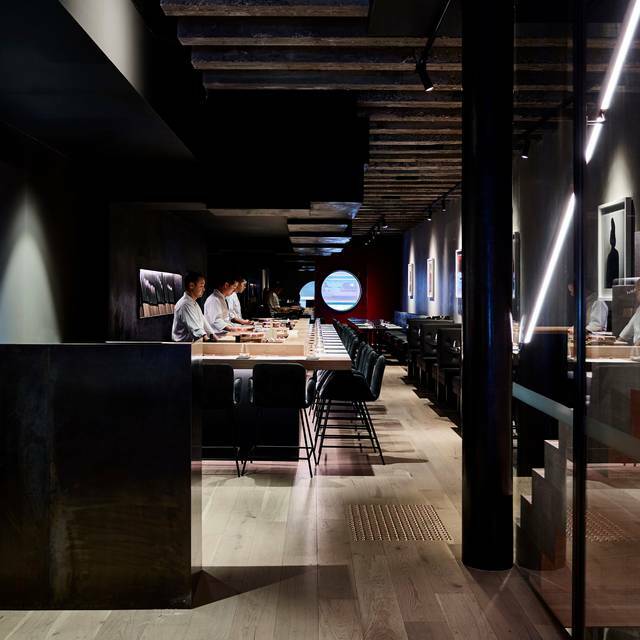 Our modern sushi bar and restaurant sit in the basement and ground floor, while Kuro Kisumé sits discreetly on the first level. 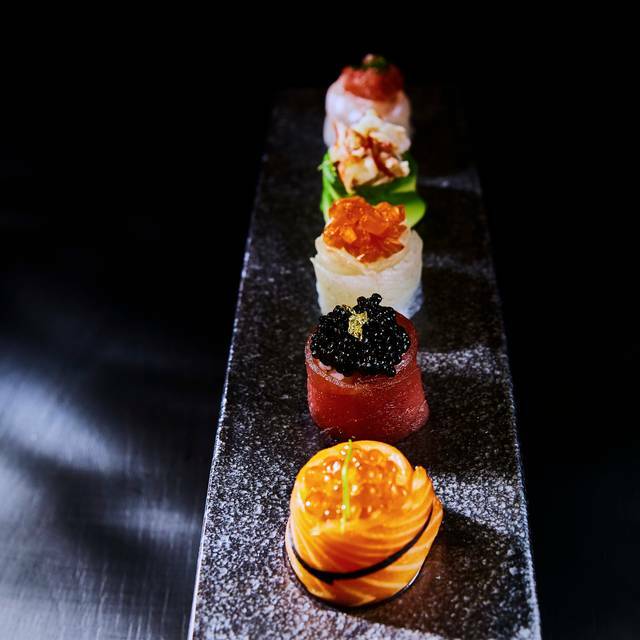 Kuro, our most bespoke experience, encompasses The Table, two private dining rooms, an elegant Chablis bar and Winewall specially-curated by Philip Rich. 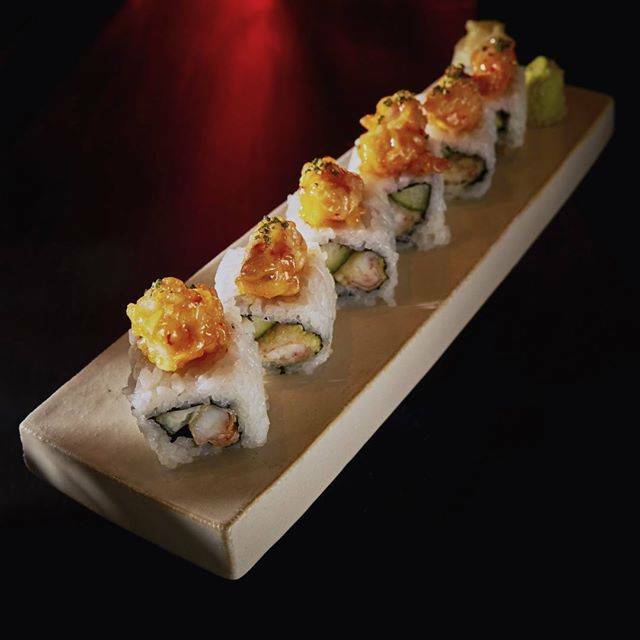 Indulge over the long weekend and enjoy a bespoke menu specially curated with premium seafood, sushi and sashimi. Food was great, I like the ambience too. But 24dollars for a piece of sushi... is just a bit overwhelming. Paid for $188pp but didn’t feel full. kisume’s pricing was better last year. Very accommodating for pre-theatre dinner. Highly enjoyable meal. The food is good but you can get same quality countless other places, especially for the price. It’s like a Roka Akor with bad service. Understaffed maybe? Best steak I’ve had in years! Service good, possibly a little slow. Overall a fantastic dining experience. Amazing fresh food but it was the service that had me telling all my friends about our wonderful dinner. We were there celebrating my fiancée birthday and everyone made the effort to wish him a happy birthday. One of our mains took longer to arrive due to a function (which we did not mind) but the chef and waiters ensured we were well looked after and compensated for the extra wait time. A beautiful experience. We will be back. The waiting staff are really quite strange. The lady at the front desk had just passable manners. Of the the four waiting staff that served us, one gentleman was rushed, edgy and appeared disinterested in serving us, one lady unfortunately for her, seemed depressed and melancholic and a third gentlemen was mechanical, a bit like a cyborg. A fourth lady was more normal. Strangely, the menu is on the underside of the paper placemat, which we only found out by asking for it. Is the objective to make the customer feel confused and unwanted? In hindsight, we perhaps unwisely opted to reserve seats in the restaurant, rather than at the sushi bar, which appeared far more inviting with eagerly attentive sushi chefs. We chose bento boxes - another unwise decision. 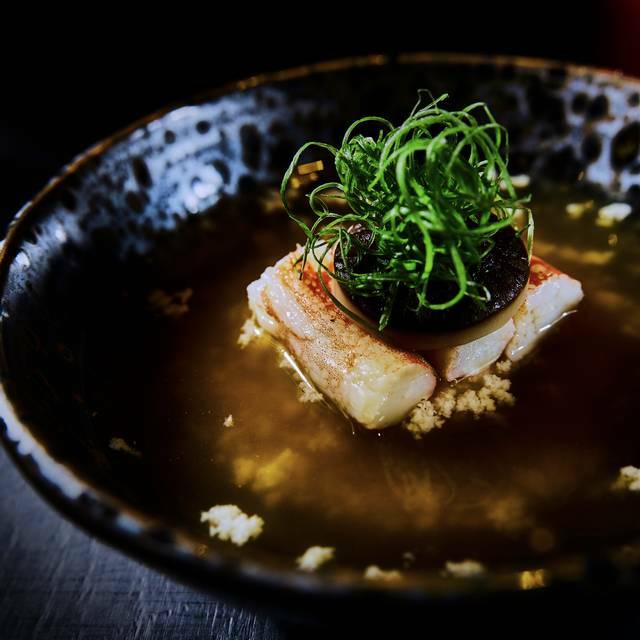 There were enjoyable highlights, such as the excellent black cod and delicate sushi slice rolls, but for the price, the food as a whole wasn't amazing. The portions were in general tiny, with the bulk of the lunch for both bento boxes being made up of an overly large serving of endo beans and steamed rice. I don't think it is worth to have a Japanese Food there because its arrogant service. For instance, I just want a box of mixed sushi which doesn't mean I don't have a taste of fine dinning. The waiter should learn how to guide their customer to have a better eating experience instead of showing their so-called high class. Brilliant service, vast menu options. Went for the Chef's tasting menu and were blown away with the quality and portion size. 5 courses (plus a few oysters and a cocktail to start) was perfect for the two of us. Second visit to Kisume and I was quite disappointed. A fall from grace. The food was quite good, but has lost a touch of finesse. The service needs to be seriously addressed. My first visit was extremely crisp and professional, however our visit on the weekend was unpolished and sloppy from some wait staff. We ordered the tasting menu and were a bit shocked at the order of dishes being delivered to the table. Sashimi after fried gyoza? Wagya steak with foi gras before hapuka (a very fine flavoured fish)? Our wagyu dish was presented, then two minutes later, our hapuka. The air conditioning was freezing (actually uncomfortably so) so my partner asked for the steak to be held under the heat for five minutes so we were shoving two mains hurredly down our throats. The heat lamps were literally right behind us, however the girl who was in charge of this section looked at us (me right in the eye), rolled her eyes and then clearly complained to not one, but two of her colleagues about this. I then spoke to our waiter and said, 'I saw your colleague complain and roll her eyes at us, and she seemed inconvenienced by this, however we didn't think it was ideal to be served two mains at once as one was bound to get cold'. He did not apologise but instead just awkwardly laughed and said 'no you're right'. Like I was being excused. For a fine dining establishment such as Kisume, this pretty average service left us feeling as though we wouldn't bother returning. Great food and fun place, let down by the poor service that in no way matched the price point and threatens to undermine the whole experience. 30 minute wait for our table despite reservation. After ordering our wine there was a 10 minute wait between the sommelier delivering empty glasses and some poor rushed server eventually filling them with the wine we had ordered. Requests for dishes to be served in a particular order were not met and, despite multiple apologies for the service we received, no goodwill gesture offered in relation to the bill. Instead we were asked if we would like to leave a tip. Given the prices, they need to do much better. We were thankfully running 20 minutes late so getting pushed back to a sitting half an hour later was no biggie getting cocktails at the Chablis Bar. I had one with "edible origami" which wasn't really origami but a wafer that looks like origami paper. My husband got a cocktail that came with "charred straw" which I imagined was a smokey bamboo straw enhancing the flavour of the cocktail but the server came out with a small ceramic hibachi filled with hay and immediately set it aflame with a massive butane torch. I almost yelled "Dracarys!" but instead kept that in and exclaimed in laughter that I was glad I didn't wear false eyelashes. We barely had a sip when our table was ready. Staff were charming and wished us "Happy Anniversary". We opted to sit at the counter and were ready for the 15 piece omakase. It was ALL freakin amazing. The kingfish with kombu butter was spectacular and the umami powder with the abalone was SORCERY. As was the wagyu beef with French foie gras in the smokey cloche. We tried the two flights of sake and shu and got stuck on the Momoshu. But dessert was an unexpected turn; if The Death Star was a panna cotta, it would be this stunning modern and minimalist plate of Goth deliciousness. The black sesame panna cotta looked like a piece of ceramic and the barren wasteland it sat against was incredible. The sushi chefs were informal enough to engage with as was the lovely female waitperson who was the last to look after us. We were glad the stuffy older couple we sat nexr to made way for the charming pair of Londoners. Great meals are best enjoyed with good company, even as they may be incidental. It was a lovely 15th anniversary dinner! Sensational counter-seat experience with the talented head-omakase chef preparing and talking us through 13 perfectly prepared sushi. Unlike many counter seats, these are comfortable and the perfect height to enjoy watching the kitchen, top quality produce, and technical skills that come together to make heaven in your mouth! Oh, and the wine wall/list is out of this world. Hurry there and don't hesitate! From the moment we arrived , I felt positive about the restaurant. The staff were welcoming , helpful and courteous. We sat at the counter and found watching the sushi chefs at work a wonderful experience. The food was amazing - we chose the tasting menu and were very pleased with the quantities and the timing of the courses. We will certainly return. Great time at Kisume, as usual! Thanks to Chad and Owen.. I went to Kisume on Sunday night with 2 friends. The food was excellent. The service was good but the Sommelier did not leave the wine list on the table despite a request to do so. When we wanted to order our second bottle of wine we had to wait for the Sommelier to bring the wine list back. Wine list was extensive and there was a good range of wines available. However the prices were exorbitant. I dine out a lot and I have never seen such a huge mark up before on wines!! On a very busy evening we were seated upstairs in the Chablis room over the more vibrant ground floor restaurant space. The tables in this area are huge so for a reservation for two we luxuriated in the space. The food was delicious, we enjoyed every mouthful. The service from our main server was personable, knowledgeable, but a little show. Drinks orders particularly were extremely slow. I'm not sure if this area services the whole restaurant, but they really were particularly behind. Given a glass of wine ordered to have with the main dishes didn't arrive until the last mouthfuls were being eaten, it's something that could do with some polishing. The wow factor is the food here. Restaurant is not fancy which is another plus where patrons can relax and focus on the food and their company. They also have an extensive wine and beverage list. We took advantage of it and had a great value German Riesling and some Japanese whiskeys. Have already been recommending this place to my friends. Kisume, lovely experience, exquisite cuisine, a place that transports you somewhere in Japan. My only wish was for the staff to be a little less intrusive with the constant interruptions to clear table ot take drinks away (which aren't finished). The service would be impeccable if only they knew that it isn't necessary to ask someone if the food all the time. 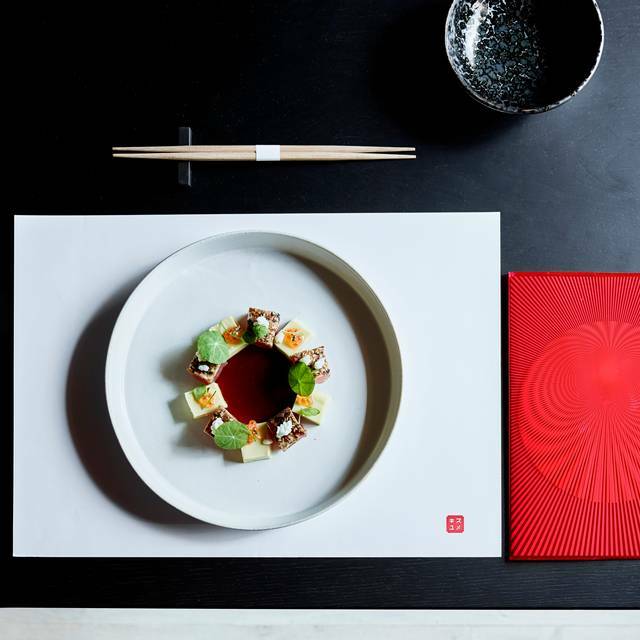 High quality, stunning Japanese food with amazing service, all found within a well designed, trendy restaurant. I would have to say food is better Nobu but price point is about the same. 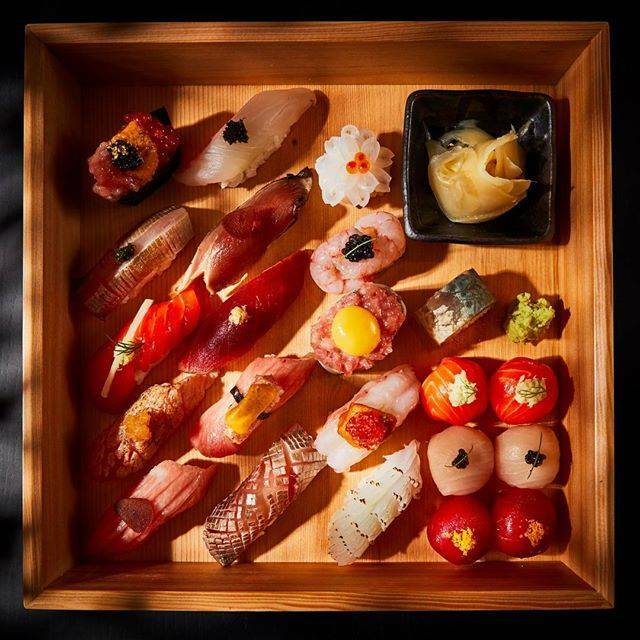 Omakase gives you an opportunity to taste all the best sashimi but also a little bit of everything on the menu. Factor in some time though, each piece/course is made fresh right in front of you. A great place for dates and special occasions. Excellent food and we would good back again in a second! We did unfortunately have to wait almost 40mins for our table but they were nice to sort out something extra on the menu. Favourites were the waygu truffle balls, fois gras beef and sticky date dessert!! A great experience. Cannot wait to go back very soon! My wife and I had a fantastic time. Thank you for the lovely experience. The food was divine! The service was a bit hit and miss. At first there was far too much attention where wait staff were removing plates literally as we were still taking the last piece of food off them then later on it when it became busier it was hard to get their attention. The food was magnificent though, the pineapple coconut mousse dessert is fantastic! We did the tasting menu with a sake flight and a shu flight. Definitely on the pricy side but service was excellent and food was delicious. All very nice, but not very friendly. Everyone seemed to be distracted, and not very happy to be at work. There was a lot of activity over at the bar/kitchen, and the boss seemed to be having the best time, but this didn't translate to anyone's interaction with customers. If anything, we felt a little like we were getting in the way of they banter. Great food and excellent service. All staff are well trained and knowledge of dishes on the menu was excellent. The food is of high quality and wine list extensive. My only negative is the ambiance is bland and l don't think will look good in a very short time. Fantastic food, amazing wine list, great service, lovely atmosphere and beautiful sake! Totally worth it, beautiful experience and thank you for making our anniversary so special!! Amazing food. Getting the set meal was well worth it! A good modern Japanese eatery. Good sake selection and varied food menu. Sushi was good quality not always the case in Australia. Appalling service, poor quality sashimi. Even though my sake (order forgotten) and hot dishes (overcooked, dry flathead) were comp’d I can only comment that this is authentic Japanese food, just like roast beef. Avoid. and not value at all. The staff were lovely but the food was just a massive let down. Took forever to be seated ! 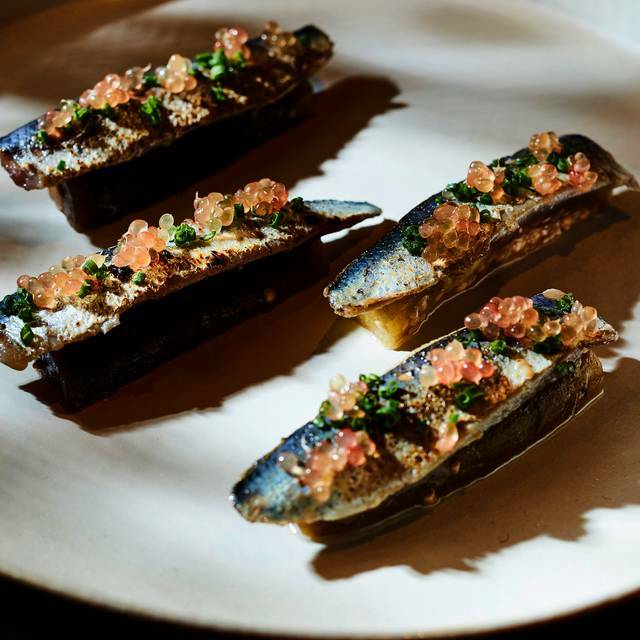 One of the worst dining experiences I have ever had on flinders lane. Made a booking for 9pm and we weren’t seated until 9.50pm. Before we were seated they held us in the bar upstairs (which we also had to wait for by the way, standing by the stairs for 15 minutes). Once we were seated, we ordered the tasting menu, 3 meals came at once and then none for half an hour. We were told the kitchen was closing before our main course had even arrived. Staff were not attentive and we had about 6 pass us each time before they would fill our glass or take dirty plates away. We had a spill and it took 20 minutes for them to clean it. Great food but the service was worse than McDonald’s. Will never be eating here again, there are so many more efficiently run places on Flinders Lane. DO NOT EAT HERE! You will spend 4 hours of your life waiting, and let’s be real, tough steak is not even worth 10 minutes of your time.